SUFFOLK, Va. (WAVY) -- Police in Suffolk are looking for a suspect who robbed a 7-Eleven store at gunpoint. 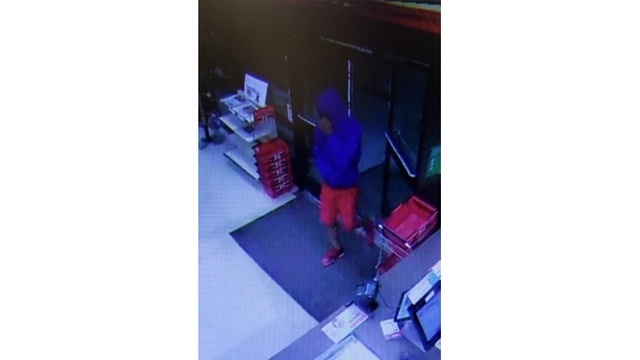 City officials said in a news release the robbery happened just before 10:30 p.m. on Monday at the store in the 6400 block of Hampton Roads Parkway. A preliminary investigation found a suspect walked inside the store, pulled out a gun and demanded money. This suspect ran from the scene with cash. Officials released a surveillance image of the suspect Tuesday. Anyone who may know something about this robbery is asked to call the Crime Line at 1-888-LOCK-U-UP.